TAKE YOUR FUNDRAISING TO NEW HEIGHTS FOR WILTSHIRE AIR AMBULANCE! ADVENTURE seekers who want to get off the ground can take part in new and exciting events while raising funds for Wiltshire Air Ambulance. The charity’s 2019 bumper events calendar includes an abseil, skydive and a Snowdon challenge. New this year is a 200ft abseil down Avon Gorge on 14 April, plus a triple challenge involving cycling, climbing and kayaking in Snowdonia National Park on 7-8 June. 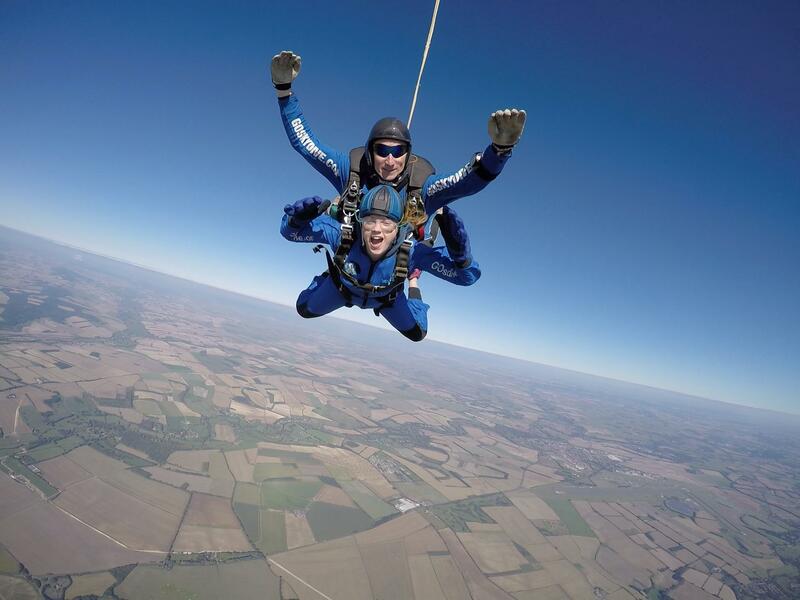 A skydive at Old Sarum Airfield near Salisbury, on 2 June, is the other main challenge event. Kenresa Stratford, events co-ordinator at Wiltshire Air Ambulance, said: “We are delighted to launch our 2019 events calendar and we hope there is something that will appeal to everyone. This year we have some really exciting new challenges – an abseil down Avon Gorge and our Snowdon Challenge – plus our popular skydive. “With our new challenges we wanted to offer our supporters something different that will really push them to get out of their comfort zone or a tick off their bucket list and we hope these events offer just that. “Participating in our events is a great way to raise funds for Wiltshire Air Ambulance, while taking on the challenge of experiencing something that you may never have considered before. For people who prefer land-based events there are walking and running challenges to get involved in to support Wiltshire Air Ambulance, including the Devizes Half Marathon on 7 April, the Royal Wootton Bassett Triathlon on 12 May and the Race to the Stones on 13-14 July. In addition, the charity’s Ambassadors, Nick and Annette Mason, are once again opening the gardens at Middlewick House, Corsham, on 3-4 August (also raising funds for The Wiltshire Bobby Van Trust), while in Air Ambulance Week, from 9-15 September, supporters will be encouraged to dress in yellow and green to match the colours of the charity’s helicopter and bring £1 to school or work.